Data Binding library helps us to bind the observable data to the UI elements and tell you everything about it in this article, and will implemented in a demo application as well. It is a part of android architecture components. Today data binding is a hot buzzword Android developers quite recently. It is a support library that allows us to bind the UI components in the layout to data resources and this is done in a declaration format rather than doing it programmatically. So it reduces the boilerplate code a lot. It helps us to keep the code very organised since it has a definite project architecture structure. With the help of Data Binding the no more need of findViewById(). It offers flexibility and compatibility and It is supported API level 14 or higher. Mean you can use it with devices Running Android 4.0 ( level 14 or higher). 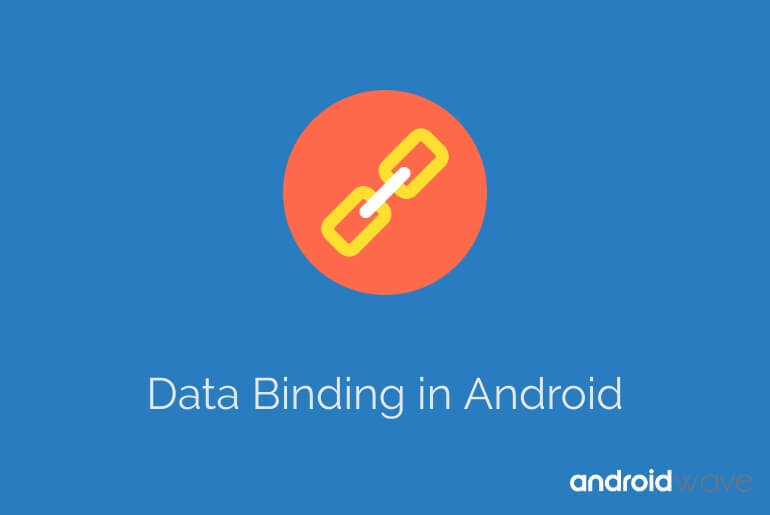 Let’s move to Android studio and start getting our hands dirty with data binding. Go to file menu and create a new project with default template. Now to enable data Binding in our Android project the first thing we need to make sure that we have support repository in the Android SDK manager. 1. Create XML layout inside the <layout/>. We use data binding expression for connecting to layout with data resource file. In this demo, We are taking the example of user profile screen. So we will understand the core working of data binding. Open the layout (XML) file activity_main and replace the root with layout tag and place all tags inside to layout tags. Here is layout tag tells the Android Framework that this activity main.xml then use data binding of binding class is automatically generated for each layout file by the father name(Our case is MainActivity) of the class is based on the name of the layout file and added the Binding suffix. That means the name of autogenerated file is (for activity_main.xml ) MainActivityBinding. Now run the project and see, So here is our app up and running. now you able to set layout using data binding. Now run the application. You will see the data have been changed as your expectations. The conclusion is we have successfully use the data binding instance to populate to widget in UI. Let’s see how can we bind the data objects with views. To do that in the App java go src and create a class named is User.java which will be a data class. In that class create some properties such as name, address, followings and followers. Now move to the activity_main.xml, You have to make some changes in XML. We will use <data/> tag to define a variable inside the <layout> which is used the user data object. So variable name I keep it as user and data object type is User. Meanwhile, you have to set data to TextView using this user data object like this. For doing that open the MainActivity and set data source to the binding object like this. Now run the application and check if it work fine. So here again our app up and run. You have see the update data that comes from data object which we have define in our layout file.